Interested in joining the Order of the Eastern Star? 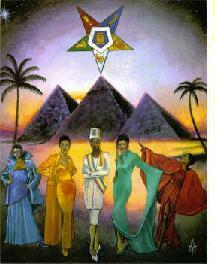 Only men who are Masons are eligible and only women with specific Masonic affiliation may be members. These affiliations include females -being wives, mothers, widows, daughters, or sisters of affiliated Master Masons in good standing, each of whom having attained to at least the age of eighteen (18) years, are eligible to membership in the Order of the Eastern Star. To inquire about membership, talk to a current member, or contact a local chapter. Petitions are carefully read, eligibility investigated and election to membership must be by unanimous vote. The Order strives to select persons of mental, moral and spiritual quality who will work together in harmony to perform its objectives.